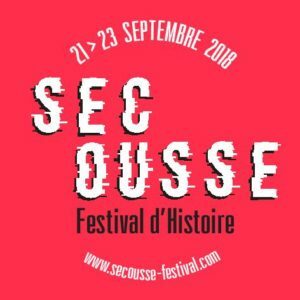 The festival Secousse 1848 has a website ! You will find all the information on the festival and more ! In order to plunge into 1848 context before coming to the festival, La Boîte à Histoire produced the historical fiction “In quest of revolts”. The episodes are released twice per week until the launch of the festival on the 21st of September. Each video introduces an activity of the programme. This web series is the result of an international collaboration between La Boîte à Histoire members, but not only. The scenario and the texts have been written by Romain Duplan and Yasmine Achouch while Natasha Buryka was drawing all the episodes from Russia. The music composed for this fiction has been written in Italy by Massimiliano Mechelli. The video and sound editing is the work of Massimo Del Gaudio in London. Daphné Budasz helped coordinating. Watch now the first episode of “Beginning of the quest” and to be sure not to miss the weekly release of the following episodes, follow on Facebook the news of the festival Secousse 1848! 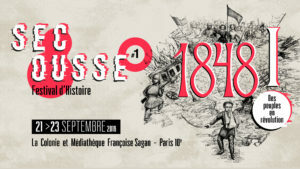 Posted on 10 September 2018 10 September 2018 Author Daphné BudaszLeave a comment on The festival Secousse 1848 has a website !